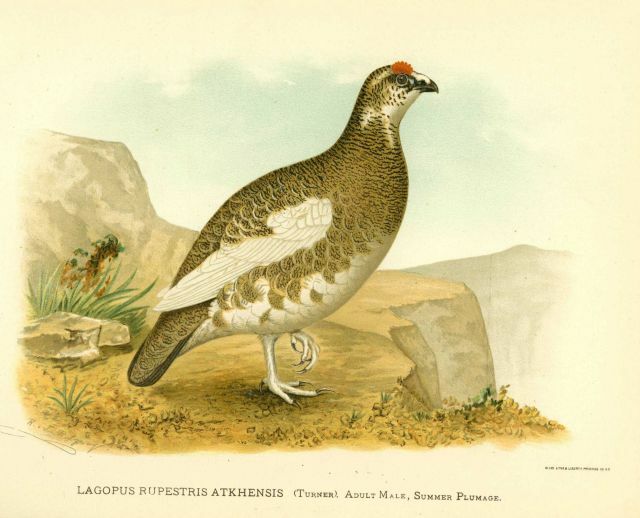 Adult male ptarmigan (Lagopus rupestris) in summer plumage, in: “Contributions to the Natural History of Alaska”, No. II, 1886, by L. M. Turner. Call number QH105 .A4 U5 1886.